Lineup – Earl MacDonald: piano; Kris Allen: alto saxophone; Wayne Escoffery: tenor saxophone; Lauren Sevain: baritone saxophone; Jeffrey Holmes: trumpet; Josh Evans: trumpet; Alex Gertner: French horn; Sara Jacovino: trombone; Henry Lugo: bass; Ben Bilello: drums + guests Atla DeChamplain: vocals; Ricardo Monzon: percussion. 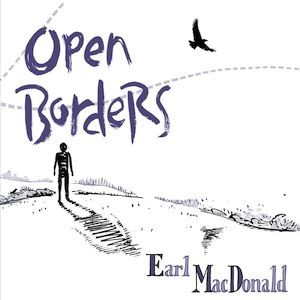 Pianist, composer, arranger, conductor, and educator Earl MacDonald, a native of Winnipeg, Canada, leads a 10-piece ensemble on his new album Open Boarders. Besides original material, his fourth outing as a leader also includes carefully selected tunes authored by both acclaimed and not so known musicians, as well as celebrated jazz standards.